I was fortunate to meet the late Sakata Eio 9 dan (February 15, 1920~October 21, 2010), one of the greatest go players of all time, at his home in Yokohama. After consultations at the Nihon Ki-in [Japanese Go Association], I was given directions to his condominium, and within an hour I was talking on the intercom to someone who directed me to come up. 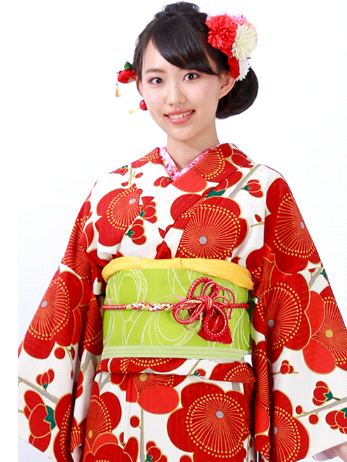 I was met at the elevator by a burly young man who introduced himself as Sakata’s nephew. He took me into an elegant drawing room and out onto the terrace. We were high up in the building and the view of Tokyo was magnificent. I marveled at the bustling life of the capital of Japan below. The nephew excused himself and I was left alone to wonder what was happening. But he came back right away. He invited me back into the room, and there I found Sakata Sensei reclined on a divan. He seemed immensely amused by the situation. I offered my polite salutation, asking for his kind consideration. He deigned to acknowledge my words and encouraged me to continue. I mumbled out my feeling of honor at meeting him and asked if he would allow me to translate one of his best books, "Killer of Go." In my hotel room the night before I had handwritten out a contract in Japanese for the rights to the book. I presented it to Sensei and he politely signed it. Looking back, decades later, it seems to me that Sakata Sensei, like many Japanese, was amazed to meet a foreigner who had mastered the language, and he wanted to understand my motivation. When I told him that he had been an inspiration for me, he was flattered, and asked me to join him for drinks at a nearby izakaya [Japanese sake bar]. We had a great time there, which I will relate at another time. An editor from the publications department of the Nihon Ki-in was with us, and when Sakata Sensei excused himself to go back home, the editor and I, with a few drinks under our belts, went on a pub crawl that went on into the early morning. This whole day remains a precious memory for me. The following article is one from Kido magazine that I studied carefully, years before meeting Sakata Sensei. It helped me to become a strong player. 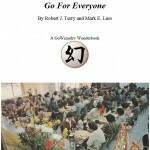 Visitors to the GoWizardry website are advised to study this material in order to enhance their appreciation of both go technique and Japanese culture. At first, everything is in chaos, with seas and mountains as obstacles. Then, in an instant, a move is released that make all the stones on the board start to mesh to stunning effect. A winning advantage is attained. This is the birth of one of Sakata’s devil moves. The Honinbo Tournament, replete with time-honored tradition, is now in the midst of its 33rd staging. [At the time this article was written, the 55 year old Sakata was fighting in the Honinbo League for the right to be the challenger for the title. He won that right and was on the verge of winning the title, when he made a disastrous mistake and ended up losing the match by the score of 3-4.] Young Ishida Yoshio, Honinbo, is the symbol of a new wave that is sweeping over the contemporary scene and bespeaks its character. When I was at the height of my powers I became the challenger on the Japanese cypress wood stage [hinoki butai, metaphorical here, but refers to the stages of the finest Noh dramas] for the first time in 1951. This was the 6th Honinbo Title Match and I was 31 years old. At that time, Hashimoto Utaro 8 dan (ranking at the time) was in the mature phase of his career and had taken the titleholder name [also traditional] of Shou [昭宇] Honinbo. 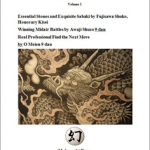 The previous year, he had brusquely ripped this from the Nihon Ki-in [which had inherited the title from the last hereditary Honinbo Shusai; having the title taken from the Tokyo-based Nihon Ki-in away to the Osaka-based Kansai Ki-in of Hashimoto was considered a disgrace]. I was facing the master of the Kansai Ki-in, and shouldered the burden of "Bring the Honinbo title back east over Hakone [a village in the mountain range west of Tokyo, considered separating East Japan — Tokyo — and West Japan — Osaka]!" the spirited cry of my supporters. This is the critical moment in the first game that kicked off the match, played in the venue deeply connected to the House of Honinbo, the Honmyoji [本妙寺] Temple in the Sugamo District of Tokyo. I am playing Black. I essayed the attachment of Black 1, then haned with 3. 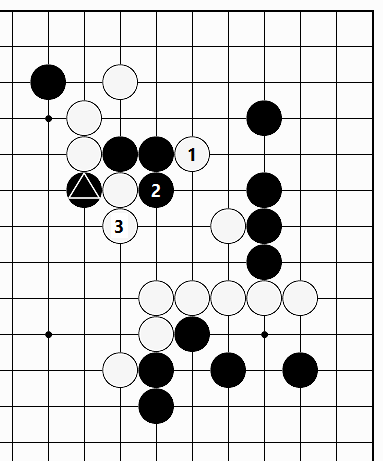 My strategy was to use the marked Black stone to entwine White’s group on the right side into a fight. The reason that White played the move at 4 was that the hane of White A would have given Black impetus to make the two-step hane at B. Therefore, the cut of White 4 was compelled by this position. 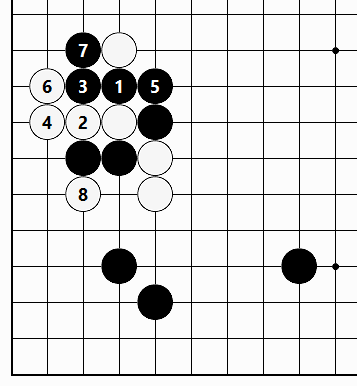 When Black drew back at 5, the attachment of White 6 was tesuji. I struggled to come up with an effective reply. 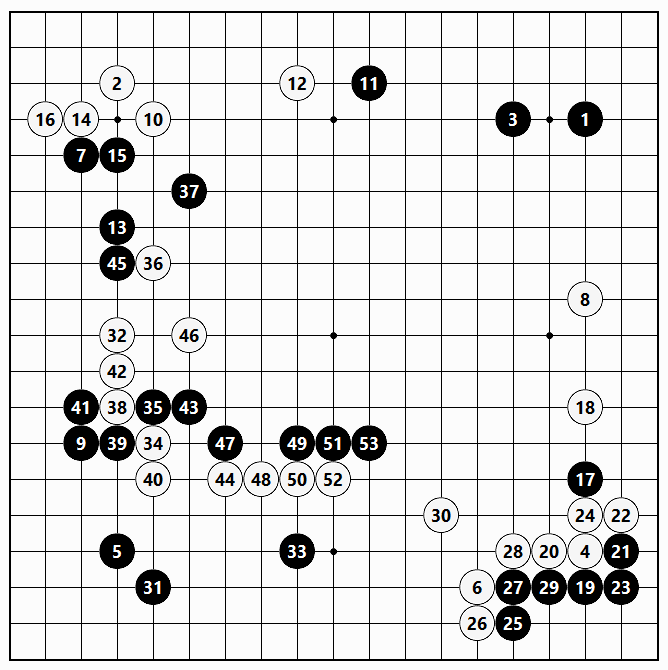 Analysis of the opening [fuseki] is omitted, but White leaves the possibility of living in the lower right corner after playing at 32 and 34, then presses up into the center with 36. This is the vaunted Hashimoto Style that uses the whole board as the field of play. For Black, this position must be viewed with a heavy heart. White 38 and 40 are a bold large territorial framework [moyo] strategy. The attachment of Black 41 is a tesuji that I planned secretly in my heart when making the tight defensive move of Black 39. …if White extends up with 1, Black makes the forcing move of the attachment at 2, then the moves of 4 and 6, the proper order of moves. Naturally, should White play the atari of A, Black would answer at B, starting a ko fight. After the sequence through Black 10, this is a group of stones that cannot be captured. Should White hane at 1, Black lives with the sequence from 2 through 12. 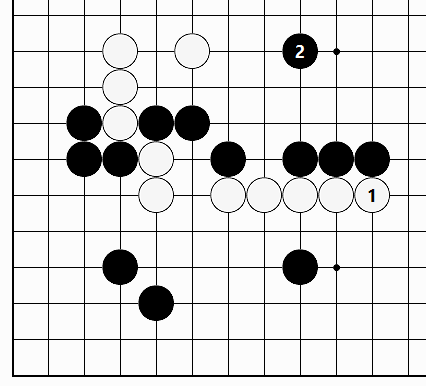 If White presses at 1, it is fine for Black to extend at 2. Following Black 6, moves such as the attachment of A and the peep of B allow Black to survive [shinogi] comfortably. White’s demand in making the attachment of 1 is for Black to move out at 2. That gives White impetus to extend at 3, circumscribing the effectiveness of Black’s marked stone naturally. Therefore, Black must avoid falling in line with White’s aim. The hane of Black 1 would be met by White’s extending at 2. Then, playing elsewhere is not possible for Black. Supposing that Black extends at A, drawing back with White 4 is a knockout blow that captures Black’s pivotal stones. In response to the hane of Black 1 as well, likewise White plays 2. Then, a Black play elsewhere is answered by White cutting at 4, making it impossible for Black to move out. As unpleasant as it is to play, there is nothing else to do but for Black to make the bad shape of the turning move at 1. 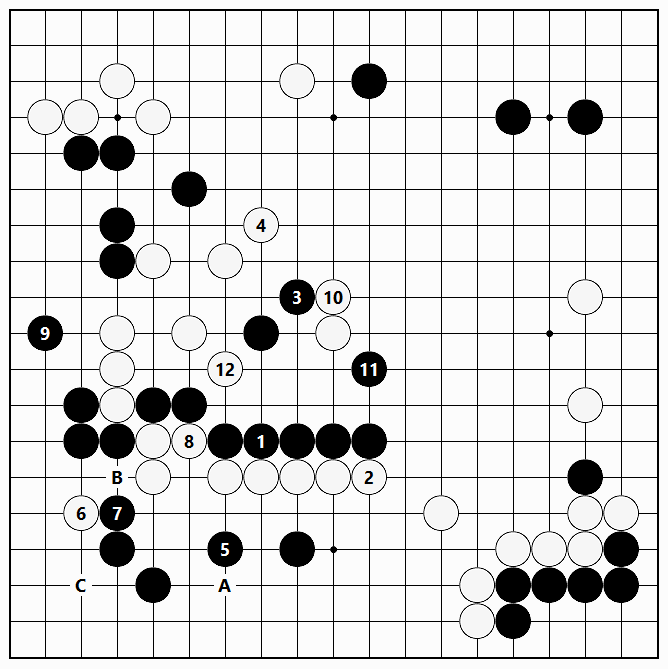 This move of Black 1 was praised by journalists at the time as equivalent to the "exquisite empty point [dame] move" of Yasui Sanchi [1617~1703], and dubbed it the "bad shape exquisite move." 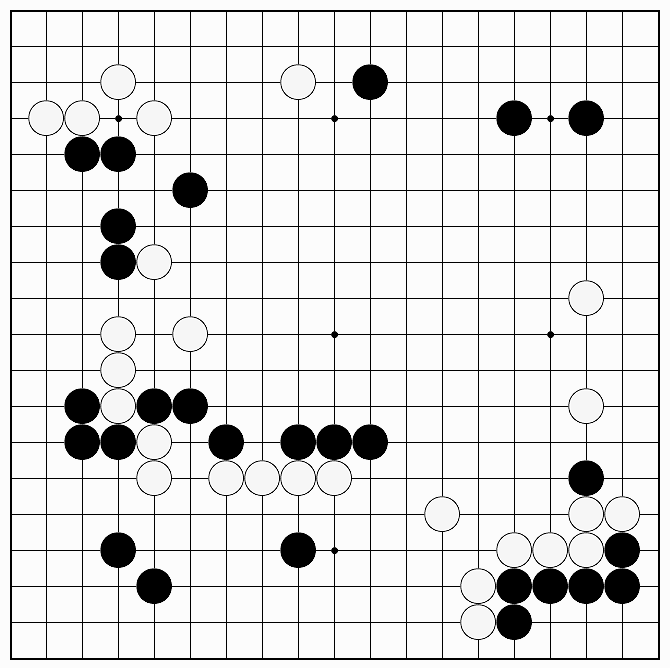 Even a move with the worst reputation of making terrible shape, in circumstances where it is the only way to fight, must be played without reservations due to the way it looks. Upon occasion, it is the strongest play to be made. This bad shape move of Black 1 acquired an odd status. We follow here the progress of play in the actual game after the previous diagram. If White 3 is played as the hane of 22, Black answers at A, and White connects at 3, the cutting point of B is left, so it seems like this way would have been better. Black makes the forcing move at 4, then extends at 6, and Black’s maneuvers have been successful. After this, the connection of Black C is left, and Black bursts through White’s position with 24. believe this gives Black a decisive advantage. This is Game 4 of the same 6th Honinbo Title Match. I am playing White. The score in the match at this point was 3-1 in my favor. The fact is that in my heart I secretly thought of the laurel crown being awarded to me, but then I lost again and again, three losses in a row as everyone knows, and I could only cry tears of anguish. In a word, I tightened up completely, like players often do. I froze. This was a defeat of the spirit. In the board position, I invaded the left side to kick off the fighting. 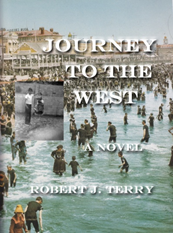 The action unavoidably tumbled into the center, entwining the stones there in the fray. At this point it is White to play, and I spent a long time considering the best move to make. The progress of play in Model Figure 2 is shown in Diagram 1. The progress of play in Model Figure 2 continues through Black 53, extending out. …should White play at 1 to develop the territorial framework [moyo] on the right side, Black would surround territory on a huge scale with 2. 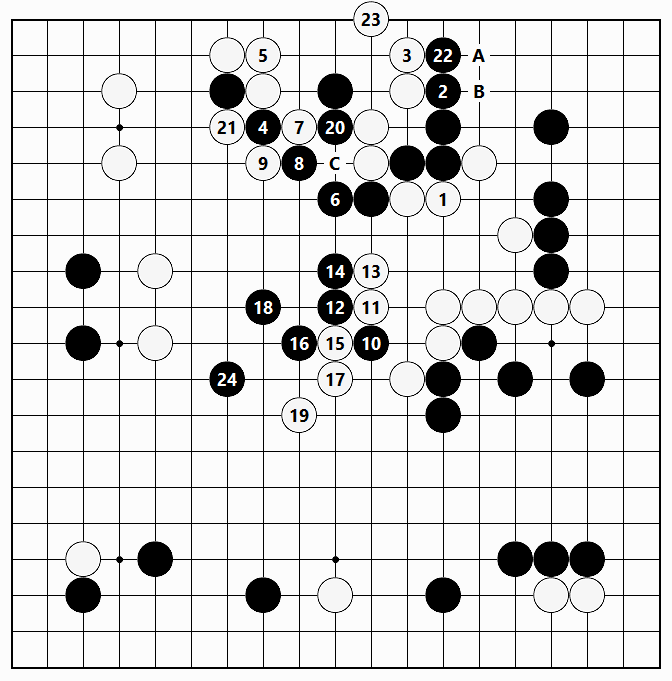 The fight that ensues when White plays 34 and Black 35 may be examined in the following diagrams. Should White omit playing 34, the jump of Black 34 would put White under attack on a large scale. 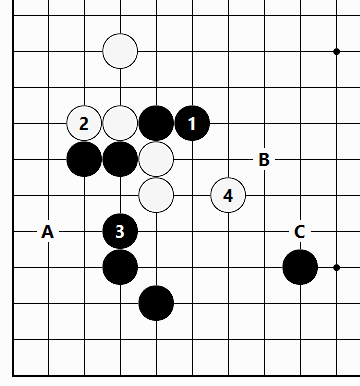 …extending straight out with Black 1 also occupies a good point, but sealing Black in with White 2 would give White sufficient options to put up resistance. Extending with White 40 is the only move here, demanded by the momentum of the position. 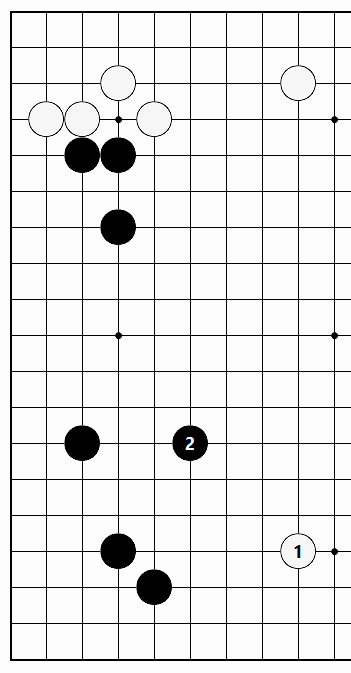 Should Black extend straight out with 1, White blocks at 2, forcing Black to defend at 3. 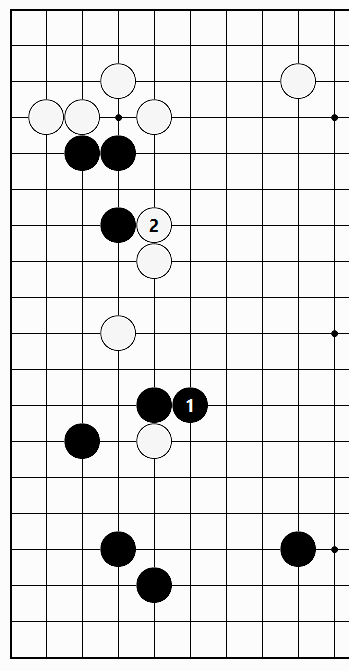 White then jumps to 4, which creates the potential [aji] of a placement on the left side of White A. 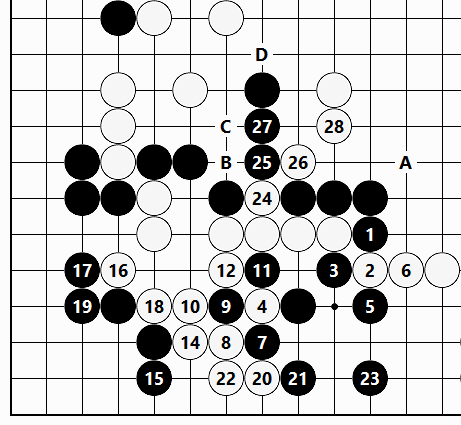 Besides this, even if Black tries to fence White in with a move at B, White can deal with the situation [sabaki] by making the attachment of White C.
…if Black plays atari at 1, White takes profit with 2 through 8, which is dissatisfactory for Black. 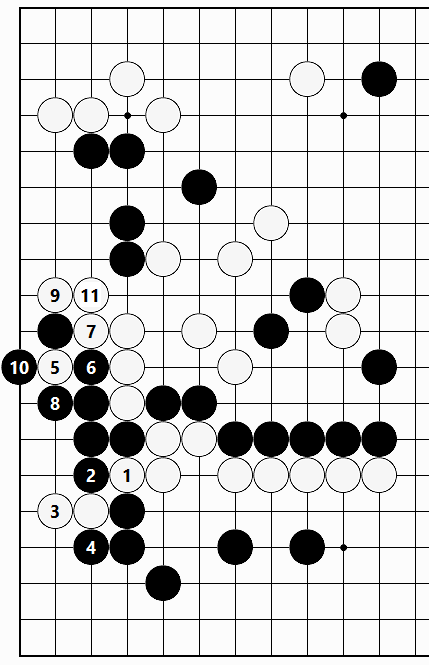 …pushing with White 1 would be safe and secure, but Black 2 then occupies the essential point for attack and defense. White could not omit playing on the left side. Because of that, I played first at the essential point of the center star point with White 1. This aims at pushing through with White A and after Black B, cutting with White C, but although I begrudge saying this myself, this White 1 is a sparkling move to be proud of. This is the source of White’s ability to drive for profit in the latter part of the game. …challenging White to a fight on the lower side with Black 1 and 3 is an unreasonable line [suji] of play. White 4 and the following moves are an example of one possible variation, but when White hanes at 20 and connects at 22, making more liberties for the group, Black has no choice but to defend at 23. Then, White pushes through with 24 and cuts at 26. White 28 solidifies White’s position, making the fencing move of White A and the race to capture with White B, Black C and White D equivalent options. Since Black’s position on the lower side is still vulnerable, Black’s painful and difficult situation would not be over. In the actual game, what happened is that Black went back to connect at 1. However, the diagonal move of White 4 made the outlook in the game promising for White. 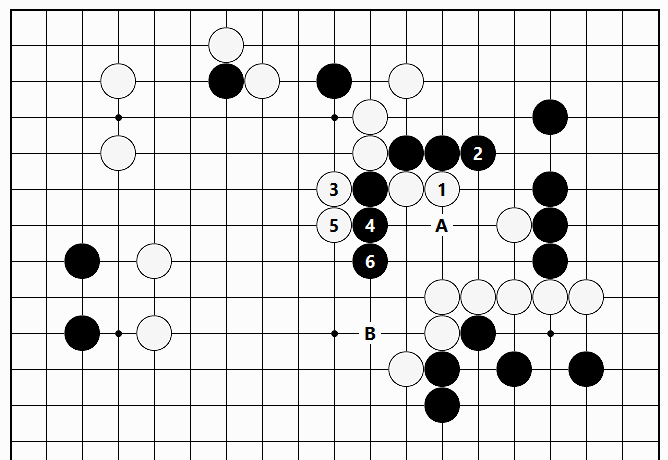 Black 5 is a big territorial move that defends against a White invasion at A, but White 6 probes Black’s response and the bad shape move of White 8 completes the order of moves that is White’s pride and joy [ = 自慢の手順 = jiman no tejun]. The knight’s move of Black 9 cannot be omitted, but even with the addition of this move, there are still moves in the corner that remain. This shows that White has the more promising prospects. In reply to White 1 and 3, should Black defend the corner with 4, White slices through the knight’s move with 5, leading to the sequence through the connection of White 11. Black’s five stones above cannot be saved. 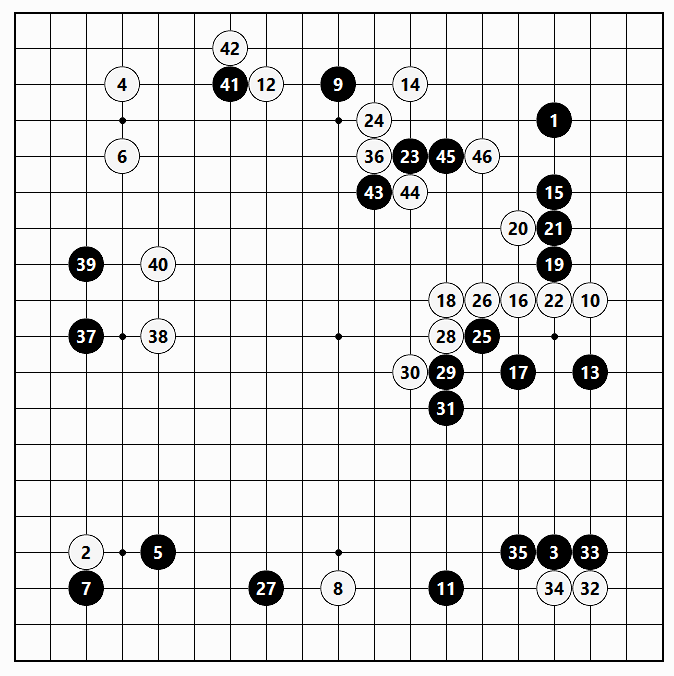 …there is no alternative but for Black to reinforce the position with 1, but White has a flower-viewing ko [花見コウ = hanami-ko] with the moves through White 10. 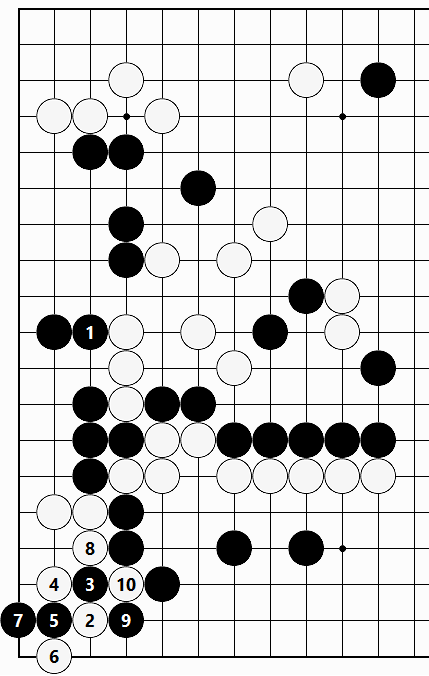 Backtracking, I would just like to add that instead of Black playing 7 in Diagram 9, Black’s playing at B would be met by White’s jumping into the corner at C, and likewise there is play for White in the corner.